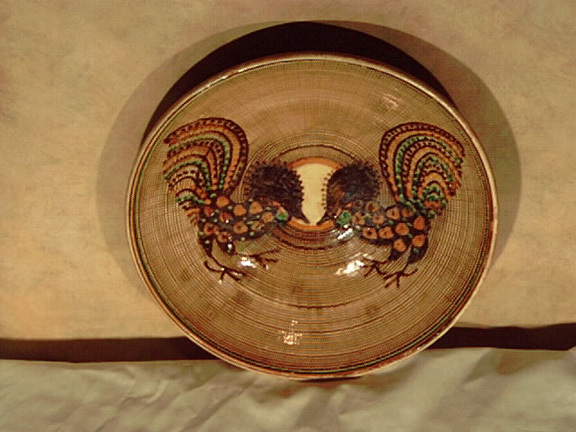 Description: Hand Painted Romanian Peasent Rooster Bowl. Red clay. 10.5 inches in diameter. 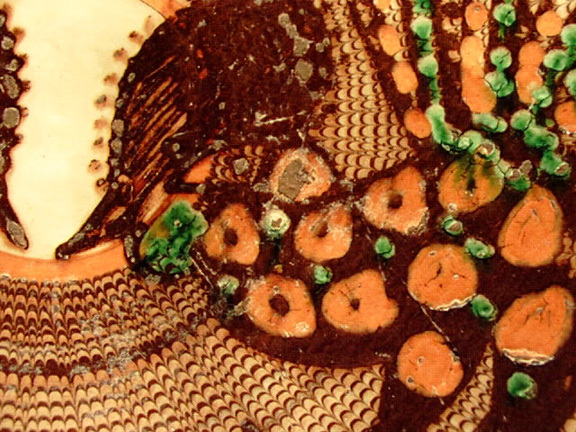 It is difficult to date this piece since these bowls, decorated in this way, have been produced for over 400 years. This one probably dates to 1920-1940, but that's just a guess. 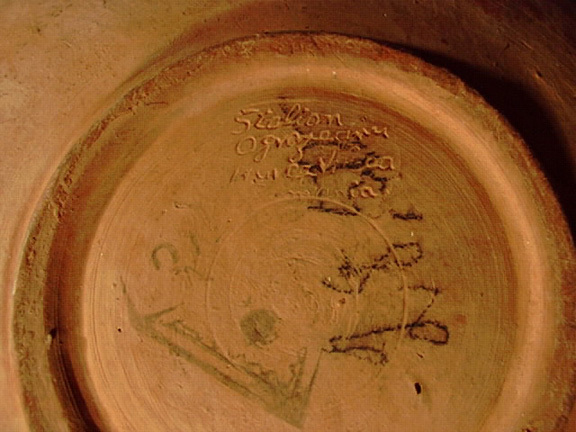 This piece contains several marks as shown, and has wear from normal use, some small nicks and flakes, but no cracks or major problems.